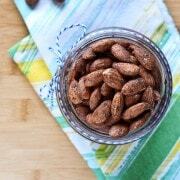 These sugar free cinnamon roasted almonds are a guilt-free, protein packed snack. You’ll love them! 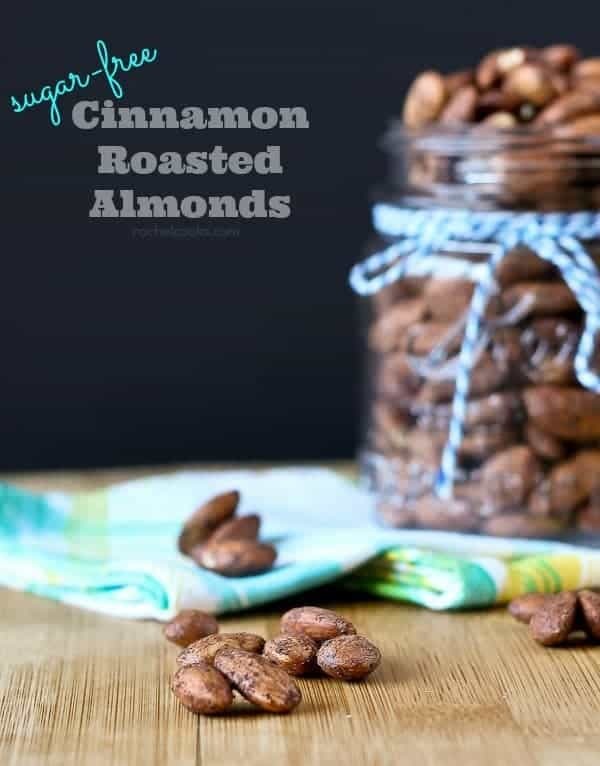 Cinnamon roasted almonds. You all know them. You know the intoxicating smell that completely overtakes you at fairs, craft shows, football games, malls….where ever the dang things are sold. All you need is 7 bucks for a tiny little cone. I could argue that it’s worth every penny, especially when they are still hot and fresh. That’s all well and good but they are definitely a special treat. Encrusted in sugar, they are a caloric splurge — a splurge well worth it, but a splurge nonetheless. I took that same great cinnamon flavor but showed the sugar to the door. Or the pantry. Certainly not the door — let’s not get too crazy here. 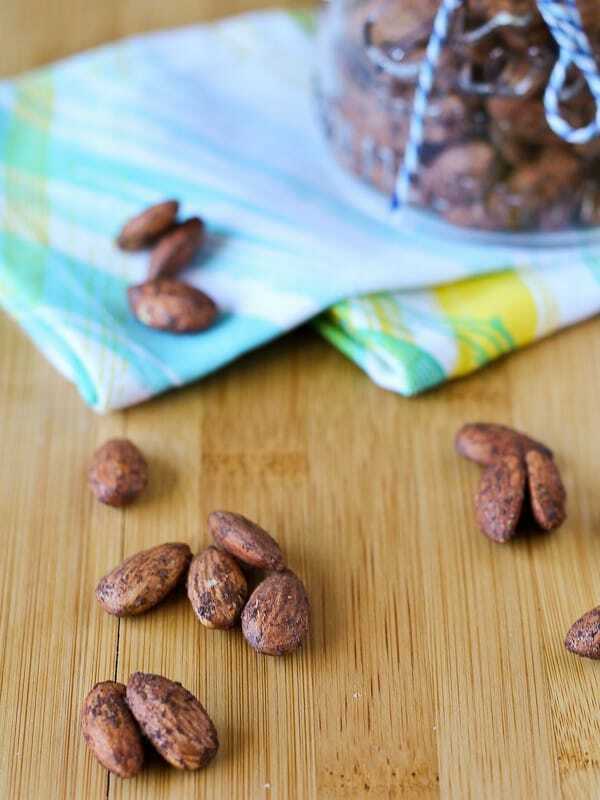 These almonds have that phenomenal warm cinnamon essence and make your house smell amazing. But they keep almonds as they naturally are – a healthy and filling snack that you can feel great about. Perfect for that 3:00 lull when you want to crawl back into bed. 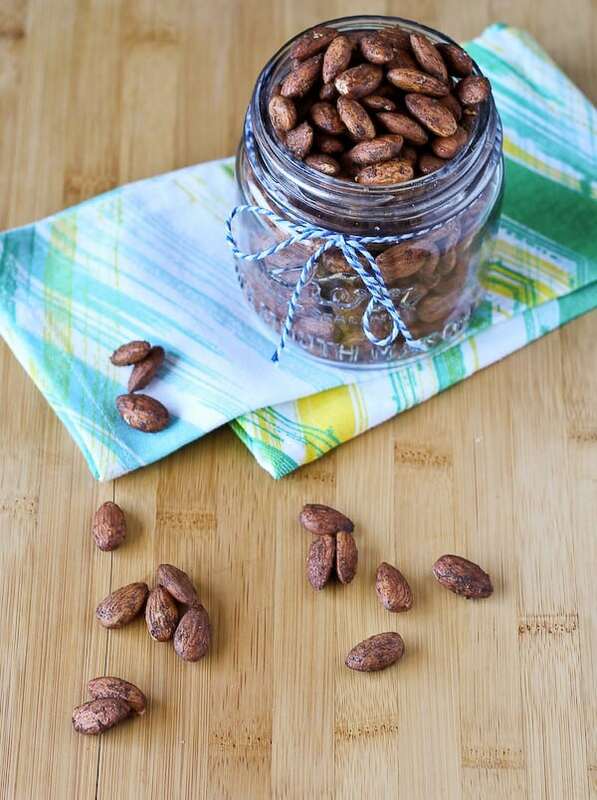 The best part of these cinnamon roasted almonds? They’re super easy to make. Toss the raw almonds with an whisked egg white, add the cinnamon and a touch of nutmeg to make things interesting (and because I love nutmeg). 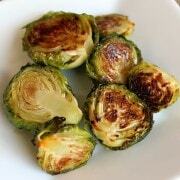 Roast them for awhile in the oven and enjoy! I mentioned it already, but I love snacking at these around 3pm when I’m completely hitting the way. They give me the energy to make dinner and survive the evening whining from the toddlers. Just kidding, my kids don’t whine. 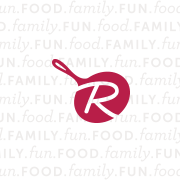 In a large mixing bowl, whisk egg white and water until frothy. Add almonds and stir to coat all almonds. Sprinkle on cinnamon, nutmeg and salt and stir again until almonds are well coated. Spread on a baking sheet lined with parchment paper or a Silpat baking mat. Bake for 1 hour, stirring 3-4 times during cooking. Verdict: Love these for healthy snacking. Husband’s take: He’s completely on board as well. Changes I would make: None are necessary. Add sugar? Juuuust kidding. Cinnamon not your thing? 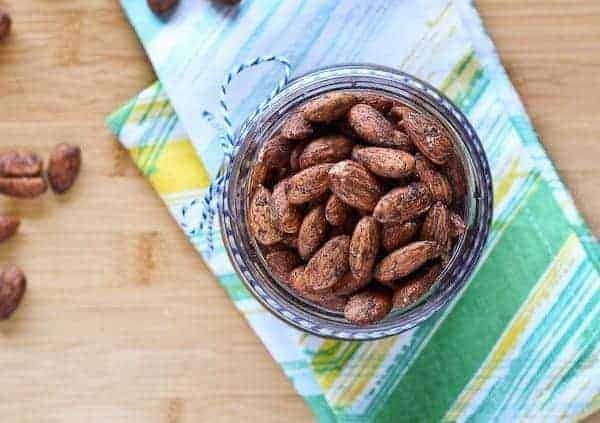 Try these olive oil roasted almonds, these smokey roasted almonds, these rosemary roasted almonds, or honey sesame roasted almonds from A Couple Cooks. The recipe calls for 2 cups in the ingredient list but the yield says 3 cups. I assuming that the recipe should use 3 cups which is close to 16 ounces? Sorry yes – that is correct, 16oz is close to 3 cups. Thanks! Could you make these with olive oil rather than an egg? I haven’t tested them that way, but it should work. 1-2 tablespoons should be good. Let me know how they turn out! 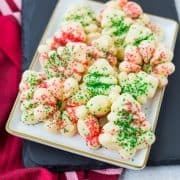 Easy to make and made my kitchen smell delicious! I️ added 2 packets of Splenda just to add a little sweetness. Thank you for this. So, baking in over at the same temperature? i.e. 250 degree? How long will these keep and how should they be stored? They’ll keep at least a week or two in an airtight container at room temp. If you want them to last longer, store them in the fridge. My favorite kind of snack! i’m definitely a fan of cinnamon almonds so a sugar free version? sign me up!